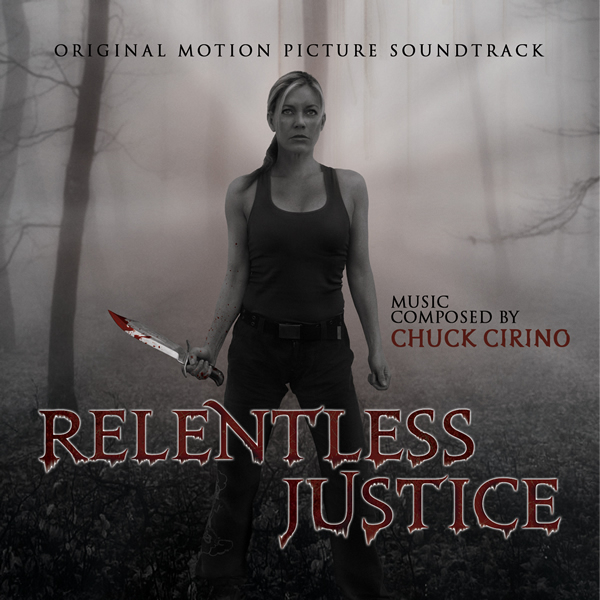 BUYSOUNDTRAX Records presents the original motion picture soundtrack for RELENTLESS JUSTICE, featuring music composed by Chuck Cirino (CHOPPING MALL, DEATHSTALKER II, RETURN OF SWAMP THING) for the 2014 action film written and directed by David A. Prior, starring Leilani Sarrele (BASIC INSTINCT), Mimi Michaels, Vernon Wells (THE ROAD WARRIOR, COMMANDO), Lisa Langlois, Eric Roberts (THE POPE OF GREENWICH VILLAGE, RUNAWAY TRAIN), Sherrie Rose, Ted Prior and Mark Rolston (THE SHAWSHANK REDEMPTION, ALIENS). Former Australian Intelligence operative Victoria De Vries (Leilani Sarelle) lives a quiet life in suburban America where she raises her only daughter and trains fighters in her own M.M.A. gym. But when her daughter (Mimi Michaels) goes on a camping trip with her boyfriend and fails to check in, Victoria suspects foul play and is forced back into action. Arriving in a small town close to where her daughter was expecting to make camp, Victoria encounters resistance and indifference as she tries to retrace her daughter’s steps. After being falsely detained by the town sheriff, she is reunited with her daughter and uncovers the town’s best kept secret. It would seem that a handful of people, including the Mayor (Vernon G. Wells) and his girlfriend (Lisa Langlois) and the sheriff (David Campbell) along with a handful of other townies have a rather strange hobby. They like to hunt people for sport. And they’ve become rather good at it. But when it comes down to hunting Victoria, they need help and so they bring in another former Intelligence operative, Joe Mangine (Mark Rolston) to balance the scales for them. But this may not be enough because, for Victoria, the only justice she knows is Relentless Justice. Chuck Cirino did not start his career as a composer, but rather as a programmer in Stroudsburg, Pennsylvania for a Public Access cable TV station, where he learned how to create TV shows by himself, without a crew. In his spare time, he experimented with the station’s video equipment and created a series of genre productions that allowed him the opportunity to learn how to incorporate special effects into his work. After relocating to California, Cirino transitioned into directing high-end special effects television commercials. His first work as composer was for the 1980 cult film GYPSY ANGELS, which starred Vanna White and Richard Roundtree. In the late-1980s Chuck began scoring films for Roger Corman’s New Horizon Pictures. He recorded musical soundtracks for many action, horror, science fiction and drama films through the mid-1990s. 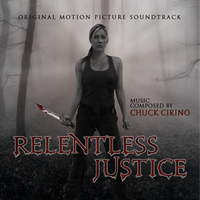 To date Chuck has composed and recorded over 60 feature film scores, two TV series and a several web series. He scored such retro epics as Tracy Lord’s “Not of the Earth”, Heather Locklear’s “The Return of Swamp Thing” and the 1980s VHS monster hit “Chopping Mall”. Chuck now scores contemporary films for Syfy, Cinetel Films, Insight Films and many independent film producers. RELENTLESS JUSTICE is a limited edition of 1000 units. As a special offer, the first 100 people to order the package from the record label’s website will have their copy autographed by the composer at no additional charge.